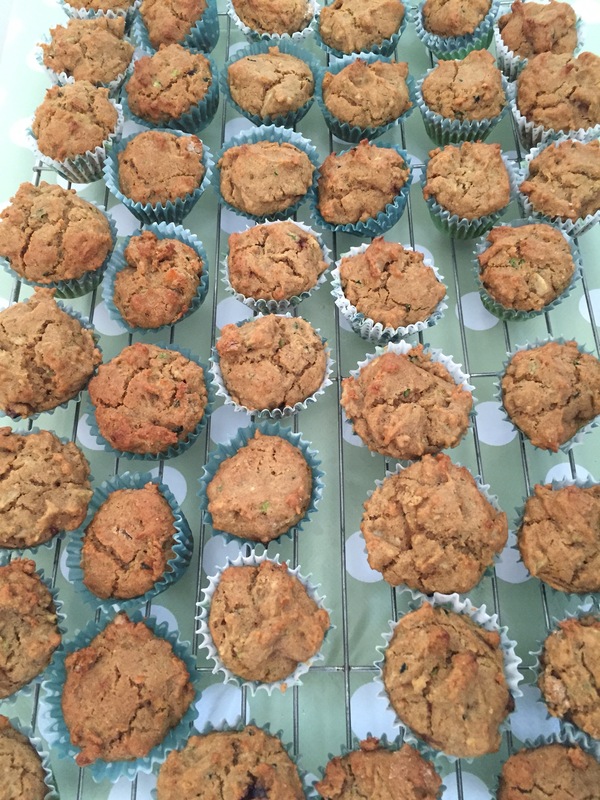 I love these muffins, they are pretty and packed full of veg. Always a bonus when feeding children! 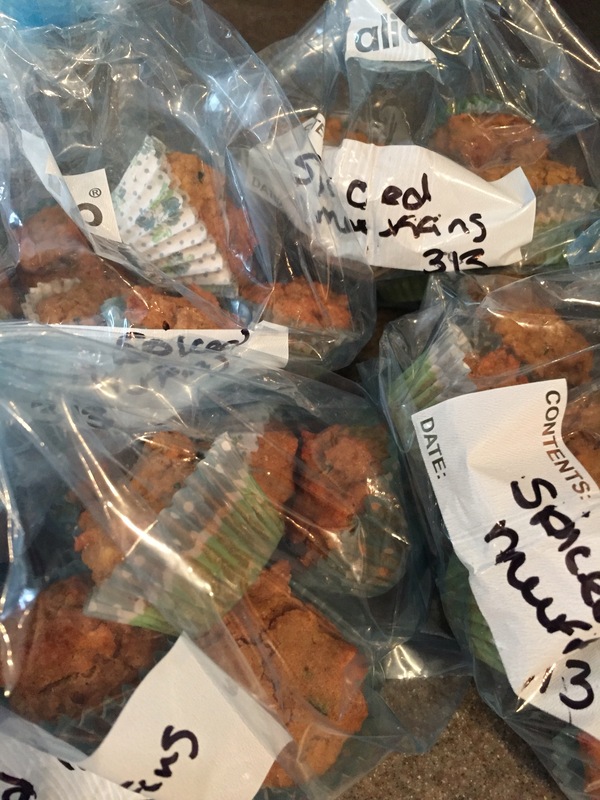 The recipe makes 48 mini muffins which is masses but I freeze small bags of them for future snacks. These muffins are teeny. You could make bigger ones, they’ll just need baked for longer. If you don’t need to be gluten free use plain flour and omit the xanthan gum. 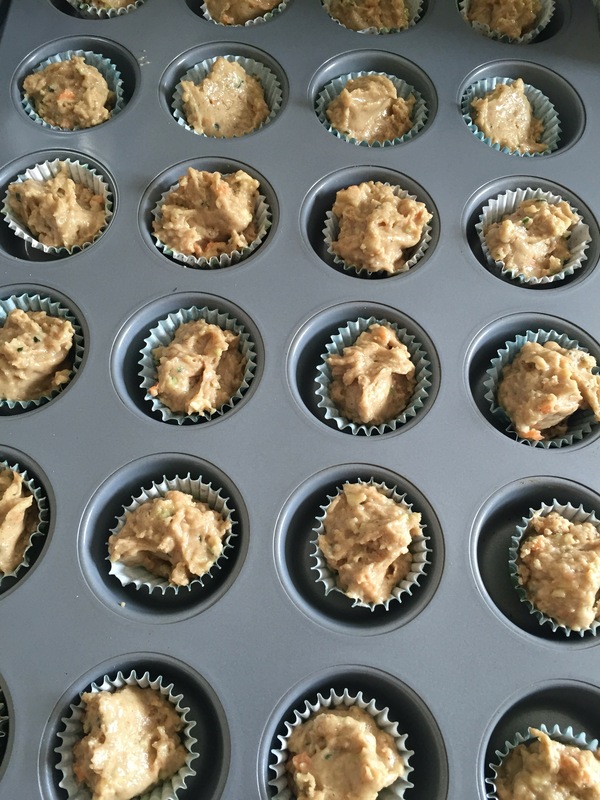 Preheat oven to 180C and line 2 mini muffin tins (24 muffins each) with paper cases. 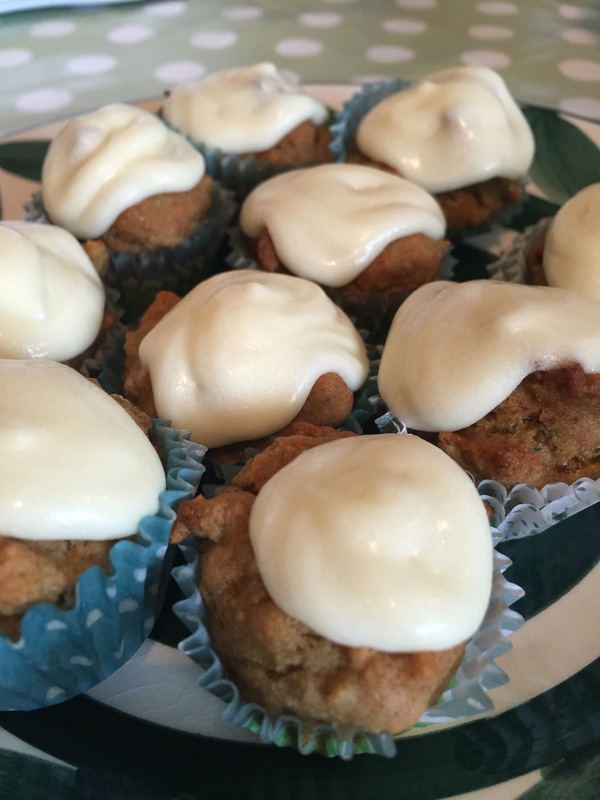 I think these would be lovely without cases baked in a greased mini muffin tin but the cases disguise the veg better! 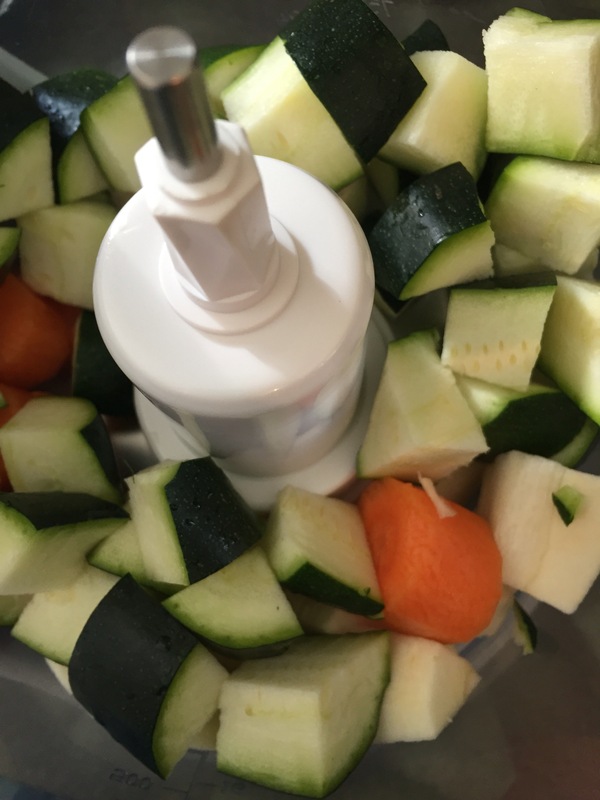 Wash/peel/chop the carrot, parsnip and courgette and whiz them in a food processor until finely chopped. 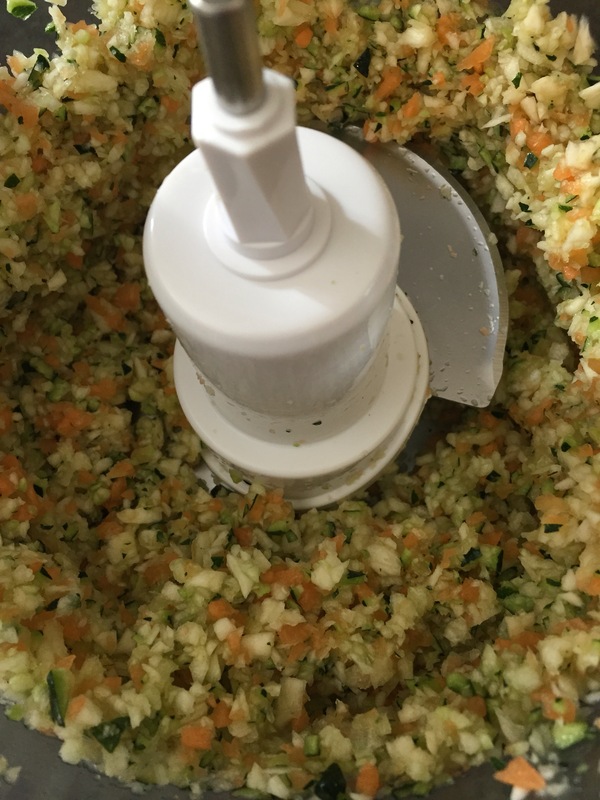 If you don’t have a food processor you could grate them. I sometimes make soup or veg to put in shepherd’s pie at the same and keep a cupful for the muffins. Measure out and sift the flour, xanthan gum, bicarbonate of soda,baking powder, salt, nutmeg, cinnamon and ginger into a large bowl and whisk well to combine. 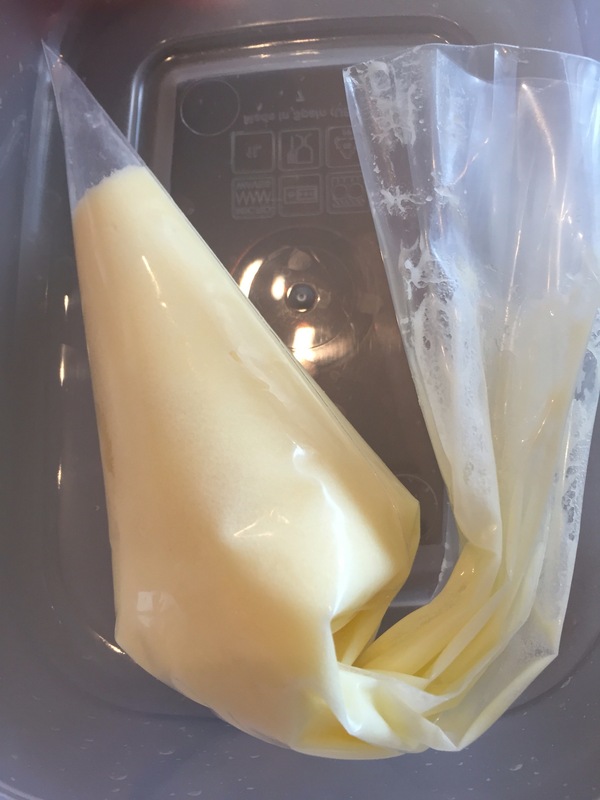 In another bowl combine the veg, oil, apple sauce, vanilla extract, cider vinegar and dairy free milk then stir in the sugar. Mix the wet ingredients into the dry ingredients until just moistened then measure by teaspoonful into the prepared tins. Bake one tray at a time for 12 minutes, allow to cool for a few minutes in the tray (until it’s cool enough to handle) then transfer to a cooling rack. While the muffins are cooling make the icing. Mix the creamy Violife and the dairy free spread together (I used my mixer) then slowly add the icing sugar and mix till smooth. The icing is quite runny, if you’d like it to be thicker add another half cup of icing sugar. There will be enough to ice at least half the muffins depending on how many you plan to freeze. Any extra can be stored in the fridge and (if you are anything like me) eaten on any biscuit/cake/loaf you like or just by the spoonful. Once the muffins are cool you can ice them either with a spoonful on top or piped on but as it’s very soft it doesn’t hold a shape. Iced muffins should be stored in the fridge. Muffins can be frozen until you remember you have some. I should probably say 3 months but I found some I made about 6 months ago and they were grand defrosted and iced! Your pictures just kill me. My mouth is going crazy right now!! Really nice photos and I’m glad you posted how chopped up those veggies need to be.